STOP PRESS: Crickhowell voted UK High Street of 2018 and Best Place to live in Wales 2019! Merryfields Barn is a luxury self-catering property near Crickhowell in the Brecon Beacons National Park, with stunning views of Crickhowell, The River Usk and The Black Mountains. 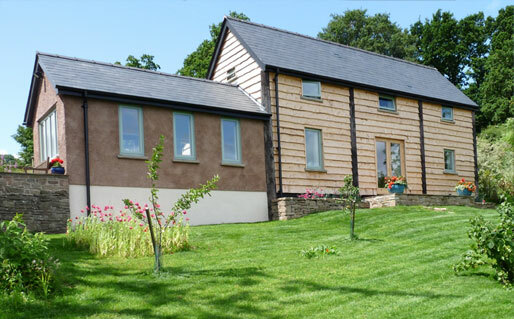 Built in 2009, this pet-friendly self-catering accommodation is in a peaceful location near the attractive village of Llangattock (voted by Sunday Times one of UK’s 10 greenest communities). The picturesque Georgian market town Crickhowell and Mon. & Brecon canal are within walking distance and the market towns of Abergavenny, Monmouth, Usk and Brecon are a short drive away. 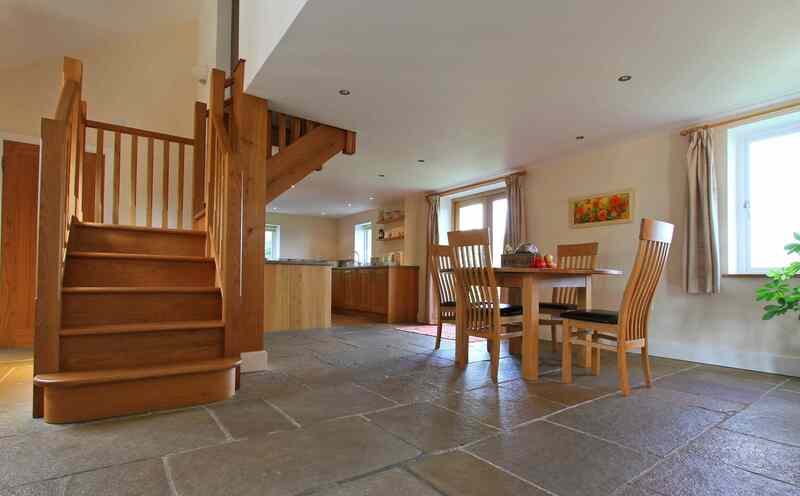 At the rear, French doors open onto a large patio area, a paddock with a stream and views to Llangattock escarpment. To the front is an orchard, lawned area, mature trees and fabulous views – a little touch of paradise! 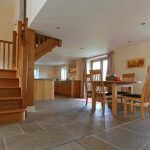 Built in 2009, Merryfields Barn has oak beams, doors and floors upstairs and a limestone floor with under-floor heating throughout downstairs. This luxury self-catering barn has two bedrooms (one with a king size bed, the other with two single beds), both with stunning mountain views. There’s a Japanese square bath and a modern, walk-in shower/wet room. The oak kitchen is fully equipped and the utility room has a washing machine, tumble dryer and freezer. The barn is high quality, dog-friendly accommodation near Crickhowell with excellent WiFi and Hi-fi!